Bass, trout, pan fish, crappie and pike have been taking Flicker Spinners for more than 50 years. 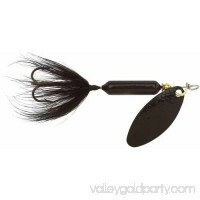 Don't go fishing without Flicker Spinners from the MicroLite S..
Give yourself the best chance of taking home the next prize catch by using this awesome Rooster Tail Lure by Wordens. 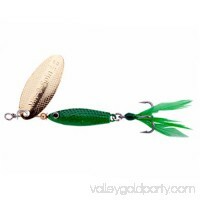 This versatile Rooster Tail Lure is great .. Since the 1950's Worden's original Rooster Tail has been and still is one of the most productive spinners around. Used to catch just about any gamefish, the Roo..
Give yourself the best chance of taking home the next prize catch by using this awesome Yellow Rooster Tail Lure by Wordens. 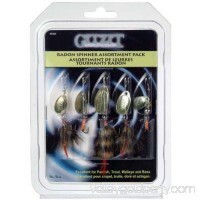 This versatile Rooster Tail Lure is..
You can't go wrong with spinners and this Radon spinner kit from Gitzit includes ten lures that are perfect for most situations. The blades feature an enhanced .. Same Flash Glo lure with a squid skirt is available in 13 colors and all in UV finishes. 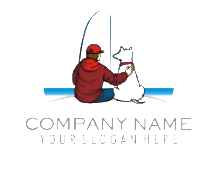 UV finish and egg bodyElongated bladeRound-bend treble hookdetailedDesc.. 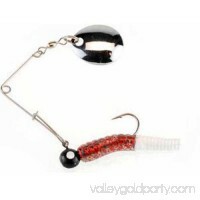 This genuine nickel plated blade beetle spin is simple and easy to use for the novice or avid angler. 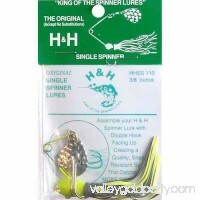 Backed by a sticky-sharp hook and metal wire arms for a du..
Increase your chances of success while out on the water with the H&H Lure Original Spinner Bait Single Blade 3/8 oz. It is designed to entice fish, bringing the..
Worden's original Rooster Tail has been and still is one of the most productive spinners around. Used to catch just about any gamefish, the Rooster Tail's pulsa..
Min-O-Spins resemble small fleeing shiners that can be cast and retrieved or trolled for all predatory fish. Spins with slight reel rotation3D eyesLifelike scal..